Whether you are looking for a special gift or a unique centerpiece for the dinner table, Jan Barboglio never fails to disappoint at this time of year. Jan’s fall 2017 collection was inspired by a dramatic sunset; here are some of the new items that are currently on our sales floor. pictured: Treeblessing Frame. 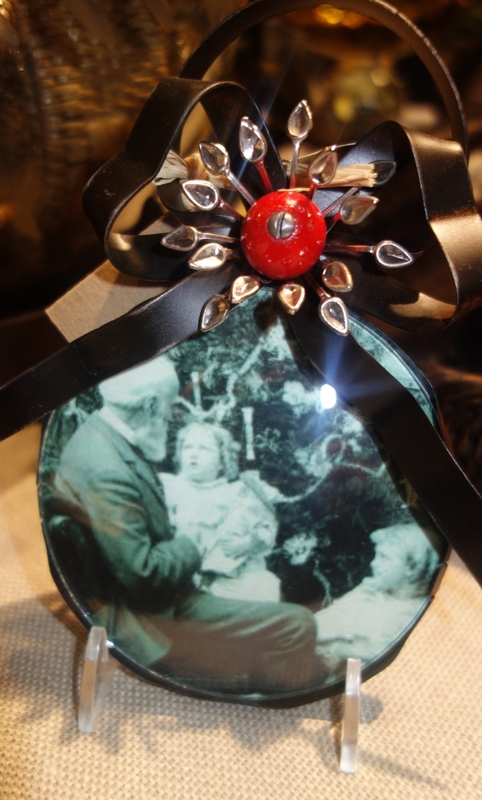 It’s both a picture frame and a Christmas ornament. It’s a unique piece of decor and it makes a great gift. pictured: Torre Hurricane. 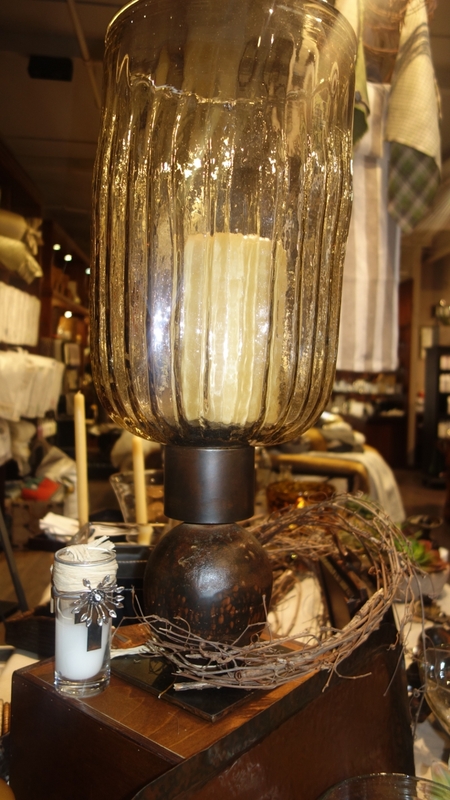 This substantial piece of hand-blown, ribbed glass sits on a wax-cast iron base. The natural, irregular texture of the glass is on full display above. pictured: Jarron San Juana. 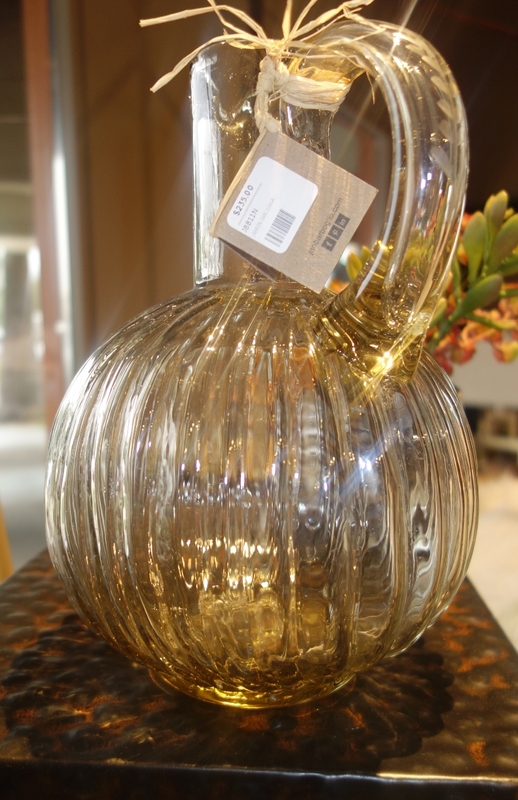 This pitcher goes great at the dinner table in the shadows of the Torre Hurricane. pictured: Angelica Pitcher and Bowl. 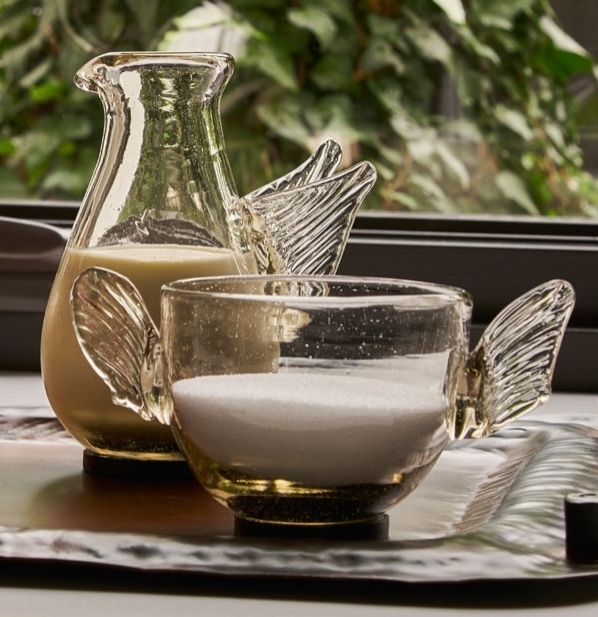 This small winged pitcher and matching bowl gracefully add a light touch to any table, counter, or tray. pictured: Blessed Orb Pisapapel. 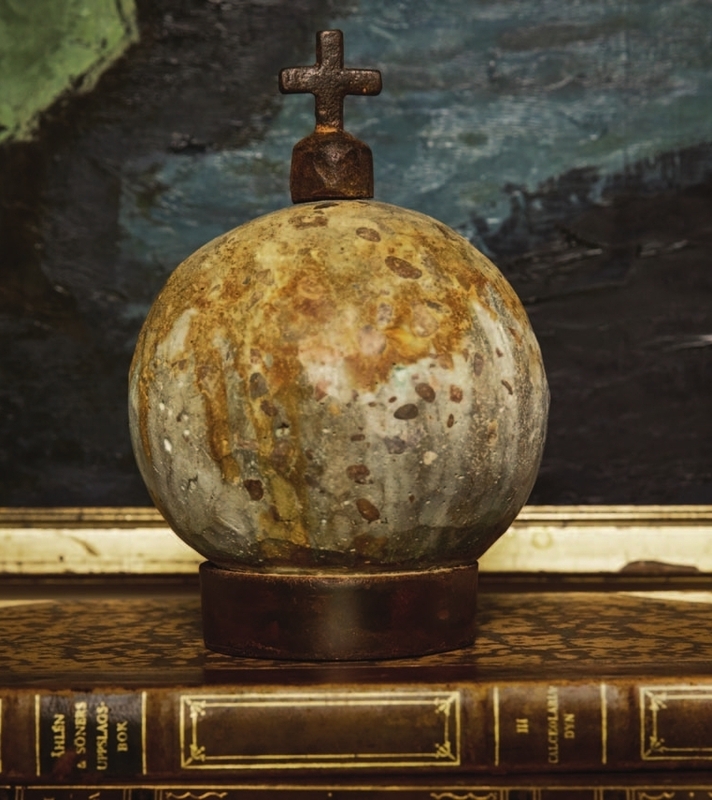 A slight twist on classic Jan Barboglio, this stone ballin paperweight makes a special gift or adds a special touch to your home. This entry was posted on Friday, December 8th, 2017 at 1:20 am	and is filed under Official Updates. You can follow any responses to this entry through the RSS 2.0 feed. You can leave a response, or trackback from your own site.